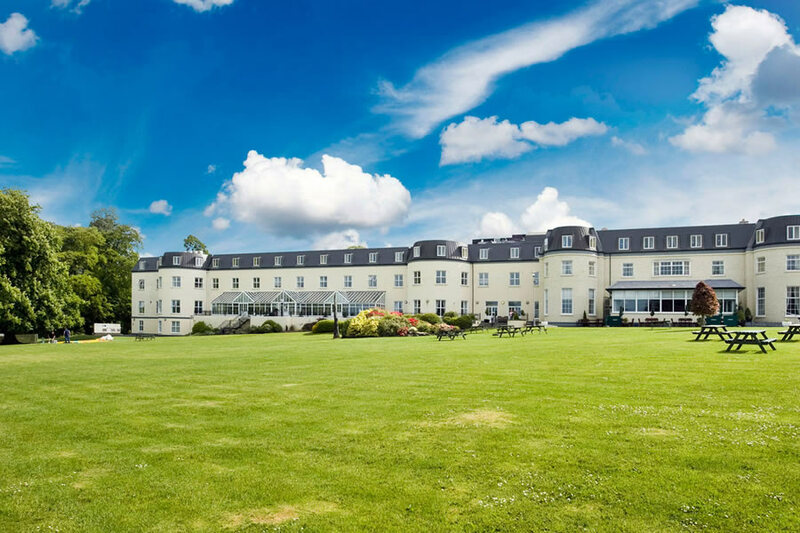 The Four Star Bloomfield House Hotel, Leisure Club and Spa is nestled amid acres of rich parkland on the shores of Lough Ennell in the beautiful Irish Lakelands. Not only is it the perfect location for relaxation and indulgence, but there are many great activities onsite and in the surrounding area. Escape in to a world of pure indulgence and total relaxation at Bloomfield Spa, an unforgettable and deeply pleasurable experience. 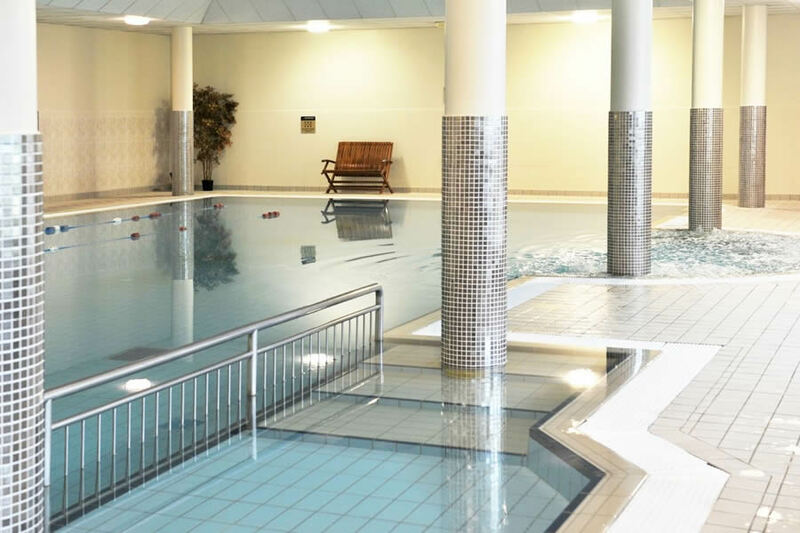 Unwind at Bloomfield Leisure Club with a 20-metre Pool, Jacuzzi, Sauna and Steam Room. Dining at Bloomfield House is highly recommended with extensive menus available at the Stirrup and Reel Bar and the Charles Brinsley Restaurant. Bloomfield House Hotel offers the perfect country escape with its combination of traditional Irish hospitality, elegant surroundings and excellent facilities. Relaxation proves effortless at Bloomfield House Hotel. Bloomfield House Hotel is located at Belvedere, 3km South of Mullingar off the main Mullingar to Tullamore Rd/N52. 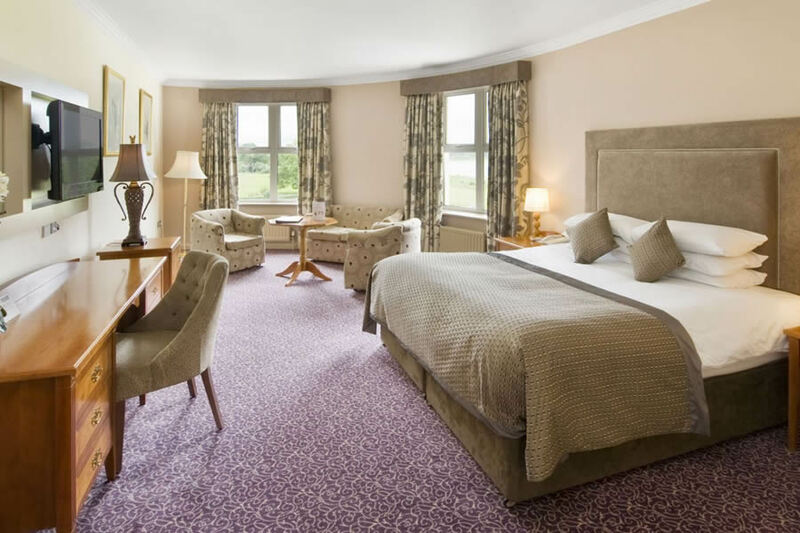 Bloomfield House Hotel offers breathtaking views of the Irish lakelands. Here, you will find some of the best fishing, angling, cruises and watersports that Ireland has to offer. But this great destination has a lot more to offer than attractions of the watery kind. Make Bloomfield House Hotel your base as you enjoy equestrian activities, bike rides in the stunning countryside, paintballing, Mullingar Greyhound Racing and the Lilliput Amenity Park. Culture-junkies will relish a trip to Belvedere House and Kilbeggan Distillery Experience, while golf enthusiasts can tee off next door at Mullingar Golf Club. Enjoy Free WIFI, Live Music and a Free Kids Club which runs every weekend and throughout the holidays, so everyone gets to have fun. Excellent hotel wonderful staff. Amazing views highly recommend. Lovely cheerful reception staff. Met a lovely female staff member at breakfast time who was very helpful to my son with special needs & a coeliac. She was very busy but didn't rush my son who was taking his time to decide what to order for breakfast! Fabulous hotel fabulous food very child friendly! Loved it!! Great stay, lovely staff. Lake walk very worthwhile. Food good, rooms fine. Spa worth a visit. Had a great one night stay, our first since we had our baby nine weeks ago. The room was spacious and had a cot as requested. All the staff were so friendly and helpful and the room service food was delicious, as was the hearty breakfast. Lovely grounds and we managed a walk by the lake before leaving. Would definitely recommend this hotel and we hope to be back soon. Many from Derek, Deirdre and baby Niall from Tipperary. Just back from a super weekend break at Bloomfield House Hotel. I was welcomed with a birthday card and hand made cookies in my room on arrival, organised by the lovely, friendly & efficient staff! thank you! Hotel had great facilites, lovely leisure centre & pool at perfect temperature, night time singsong in the bar, great breakfast choices & tasty food, very pretty grounds with lake views and close to Mullingar town with lovely shops & eateries. Also got discounted rate to visit Belvedere House which was lovely. We didn't have kids with us, but it was very child-friendly. I hadn't heard of this hotel before our visit, but i would definitely recommend it. Hi ,stayed in the Bloomfield House Hotel last Friday night on the 19th June 2015 .The service and customer care was excellent, and it was really all about customer care .We were there with our two daughters ,and as it was one of our daughters birthday ,they added little extras in her room ,which was a lovely surprise and a delight.It really was one of the nicest hotels we have ever been in, and we would like to thank everyone for all their hard work ,to the bar staff,receptionists, and waiters and waitresses . Regards Mary. We recently stayed in the Bloomfield House Hotel for the third time and we look forward to returning there again in the near future for another mini break. The hotel caters for couples and families and there is a lovely relaxed ambiance about the place. The setting overlooking Lough Ennell lake is breathtaking. Our room was spotlessly clean and very comfortable. We opted for a mini break inclusive package, bed/breakfast and evening meal, which we found to be extremely good value, the food was excellent and the staff were very friendly and efficient. Although we didn't have young children with us I did notice that they were very well catered for with a bouncy castle and various other activities being organised for them by dedicated staff members. While there I availed of the swimming pool facilities as a pool is an important feature for me when going away on a short break. I am a regular swimming and I found the pool to be a good size of approximately 20 metres in length. I would highly recommend this hotel to anybody who wants to get away to a beautiful country setting and rejuvenate themselves from the pressures of life. Excellent service, excellent staff, excellent breakfast. Fabulous hotel, high quality food and service and amazing value for money! We arrived on a bank holiday Sunday and found staff very helpful and friendly. The room was brighy and airy and very clean. Bar ataff were very attentive and efficient. Food and drink was not over priced. Breakfast was great, wide choice and hot. Rating of 4.5 /5. (Our room was beside the elevator, which made it a little noisy). I was so happy with my stay. The kids club and lakes alongside the friendly staff and spacious family room was so comforting for us adults with busy kids. My only criticism is that the rendering on the outside of the building makes the initial impression that the hotel is dated and lets down the first impressions which after that was absolutely fab. Well done guys! We really enjoyed our one night stay here. The bedroom was comfortable. We enjoyed the walk around the lake and garden. There were plenty of facilities for the younger child. The food in the restaurant was excellent but this was "let down" by the "machine" coffee. Why hotels cannot provide ground coffee in a pot is beyond me! That is a minor complaint and overall we really enjoyed this hotel - the staff were friendly and attentive and we would love to stay here again. I stayed here with my family in July 2014. It is definitely a kid-friendly hotel. Small playground, bouncy castle and pool were definitely enjoyed. It was so nice to be able to feed the kids early, send them off to kids club and be able to have a meal in peace with my husband. Bliss! Rooms were basic but had everything you need. The staff were very helpful and friendly. We were lucky with the weather while we were there as the hotel and surrounding areas are beautiful. Would definitely return. Had a wonderful two night stay with my Mam and two sisters, we opted for the Dinner & Breakfast and Dinner both nights was beautiful and they had a really good breakfast buffet. The Staff are very helpful and friendly, we got looked after really well. Location is great, we loved the walk down to the lake. Rooms very clean and comfortable. Would recommend staying in this hotel to my family and friends. Looking forward to going back again. Hotel was clean, staff friendly, food very good, rooms are basic but comfortable. Beautiful setting and the children loved the bouncy castle and Play Park. We would visit again. My family of four stayed a few weeks ago. It was our fourth time at the Bloomfield House Hotel. It's a very friendly, family orientated hotel and the kids club in fantastic. The kids club leader are great with the kids. The walk down to the lake is fab. Also, the horse stud, Ladestown house riding school, went out of their way to give my two girls a horse lesson and it was very reasonable, a great treat for the girls. Overall, great value for money and the a great hotel. Although, they could put on some music on more frequently, and they should have a drop in crèche in the leisure centre, it would improve the desirability of the hotel to younger children, as we have a 3yr old and she was bored when my eldest went to the kids club. The hotel could go the extra stretch and have a games room for the teens and tv room. But overall a great hotel, food fab, staff very helpful and friendly and again value for money.. C.McGrath. Good child friendly hotel with excellent kids club. Good pool. Good Food. Would go again. Beautiful hotel, excellent location. The service was excellent and they really treated us when they heard it was my birthday! The perfect weekend getaway, at a reasonable price also! Hotel was very nicely appointed - room was spacious - beds were very comfortable - family room had 2 proper beds as well as the double bed. The breakfast was very generous with a great choice. This hotel is terrific value for money under this promotion. Setting was beautiful! Staff were very friendly and professional. One downside was that split food on the dining room floor wasn't cleared away nor were our breakfast dishes from the table - one very small thing that is easily dealt with. I have stayed at the bloomfield hotel 3 times and have no complaints, it is a lovely hotel in hits own grounds with terrific food and good entertainment at weekends and the staff are very helpful and pleasant. very enjoyable stay . Beautiful surroundings. Bar food not hectic. Lovely location, very friendly staff, great meals and good room, what more could a guest want! Very good hotel. Great facilities for kids. Excellent kids club from 10-1 in the morning and 6-9 in evening! Been to a lot of kids clubs over the years. My kids gave it a big thumbs up. We found the staff really friendly. Evening meals at restaurant were good quality. Need some more salad options at lunch. All in all a very relaxing place to stay for a couple of nights with kids - excellent pool and right beside Belvedere house so lots to do. Stayed on Sat. Night past and had a great time. Staff very attentative, had a lovely dinner in restaurant and good selection of foods for breakfast. Room lovely and clean and spacious. The band playing in the bar were more suitable to older people but had a great time chatting and dancing with some of locals. Went to the greyhound stadium only a few minutes away. Didn't manage to get to the leisure centre but will do on next visit. Would recommend to anyone looking for a nice night away at great value. The room was nice, spacious enough and we also booked (and paid) for an inter-joining room in order so that we could all sleep in peace as the youngest likes to scream for a few hours if he senses anyone else in the vicinity. Tea and coffee facilities, flat screen TV but not a great channel choice – saorview on a bit of a budget. The leisure centre was good, little kiddies pool area and all the basics…sauna and Jacussi. Well-staffed with helpful and friendly staff. It wasn’t overly warm, and we weren’t the only ones to note this, the baby was shattering his teeth from the offset. There was a kiddies club in the evening and mornings, for 4 + years but the nice girls were happy to take our 3 and a half year old and his 3 year old cousin for a couple of hours. Food wise it was a carvery during the day which in our opinion was not great,. The main bar was very busy on the Saturday and there was a decent queue and wait. The bar menu was on in the evening and this was ok. Breakfast was good, lots of choice and the staff in all areas of food service were very helpful. On the Sunday night we ate in the main restaurant as this was included in the deal – we got a baby sitter (one of the girls that does the kiddies club)( the eldest fella dropped to his knees and cried bitter tears when we went to leave him but when I mentioned chocolate he ran off with the nice girl) so we could actually sit for 90 minutes in peace. The food in here was very good. Overall, this was a nice hotel, child friendly and the staff were lovely. The grounds really are beautiful and I’d say in the summer even more beautiful. Would definitely go back…someday,. Nice family room, good food and very pleasant staff. Pool and facilities good. We recently stayed at this hotel and found it excellent. The staff were friendly and dealt with any problems we had quickly and promptly. Our room was clean and comfortable. The restaurant staff efficient and friendly and overall a very good stay. Me and my friend spend the greatest weekend ever in Bloomfield House Hotel . Staff is very nice and helpful. We used Spa and felt like new born after -fully relaxed.Food in restaurant very tasty. everything was perfect. Will be back again for sure. A very enjoyable stay, the staff and service were excellent, the food was good and plentiful. very nice pool and facilities with helpful staff. Will definitely return and would recommend this hotel. Very nice stay at Bloomfield House Hotel, food very good, music in bar on Saturday night and room lovely, would go back no problem. We stayed here for one night. Hotel overall was very nice. Lovely setting by the lake. Nice food in the restaurant and the pool and leisure facilities are good also. My only criticism is that the hotel appears to be very family oriented and there were children everywhere. One very noisy five or six year old child in particular during dinner - her parents seemed oblivious and she was making a continuous droning noise, without any correction from them whatsoever. We asked to be moved to a different table, further away from the noise and this was handled efficiently and diplomatically. If you have children, this is clearly a good place to go, but for those wanting a different kind of atmosphere, maybe choose somewhere else, or at least do so at weekends. I bought a one-night BBD as a mini-treat for my parents, who stayed here on a Friday evening. They were very enthusiastic about the hotel. They report excellent service, and a particularly good dinner. The room was spacious with nice views, and the staff very helpful. Highly recommended. Myself and my family had a brilliant time in Bloomfield last week. We went there for 3 nights B&B with our 3 children aged 12, 6 and 2. The hotel is lovely, the facilities are great and the kids club is an added bonus. We had a great time and would definitely return. It's a brilliant family hotel.